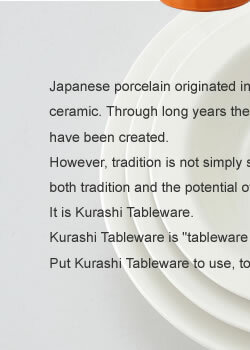 Kurashi Tableware was developed based on the "Delicious Formula" theory created by Hiromatsu Nozaki, a leader in the world of Japanese cuisine. 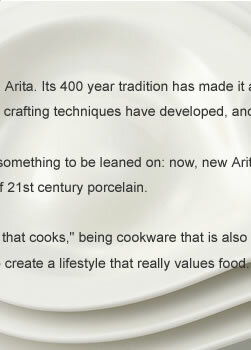 Kurashi Tableware advocates a new lifestyle. One in which the Delicious Formula is applied at the table for less waste, with, for example, the ingredients for stock reused as savory toppings. 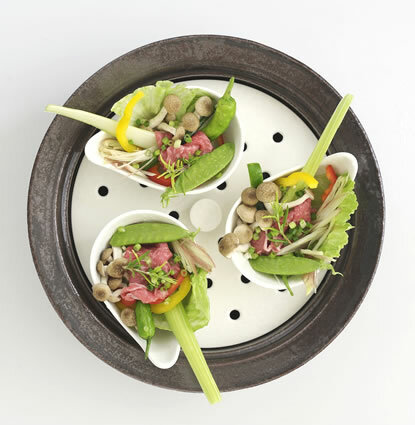 Kurashi Tableware is manufactured with the environment in mind. 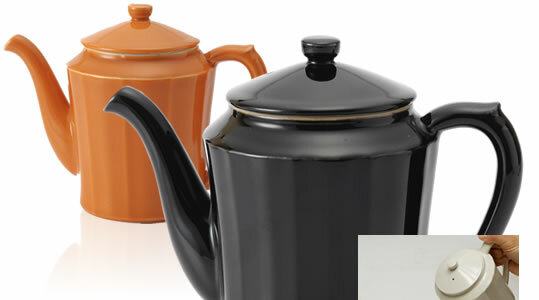 The ceramic at its core is carefully chosen for safety, and the glaze uses wood. Born 1953. Worked as head chef at Tokuyama, famous for its blowfish, and then as head chef of Waketokuyama in Nishiazabu. Created new dishes one after the other, using special methods--realized through an appreciation of cooking theory--that utilize the inherent flavors of the ingredients. 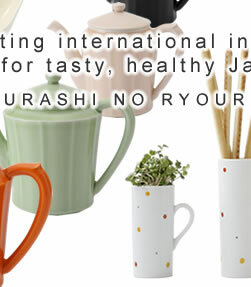 A leader in the field of Japanese cuisine, appearing widely on television, and in newspapers and magazines. 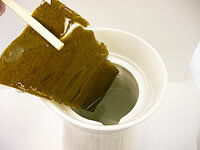 Wait one minute to produce approximately 500ml of dashi stick, perfect for miso soup, boiled foods and pickles. 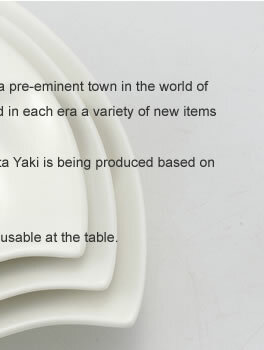 Created with the aim of extracting dashi stock over a longer period of time, which is impossible if heating. 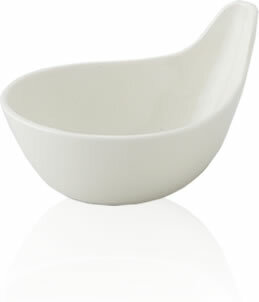 Because it features natural glaze, you can use it with peace of mind. Not only for creating dashi stock: it has a variety of uses. 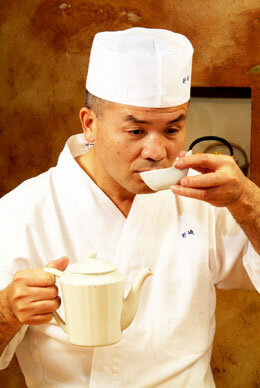 The lid of the pot can also be used as a small cup for sake. Its size and shape allows it to fit easily into the fridge door. 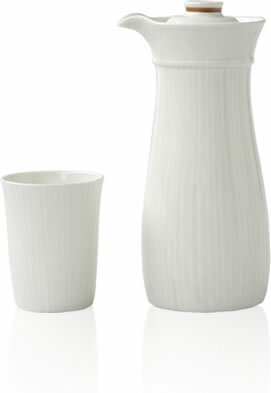 Also perfect for holding sake or barley tea. 1. 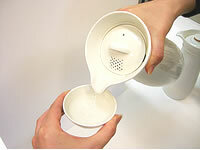 Fill the Cold-Water Dashi Stock Pot with water (up to 750ml). 2. Add konbu seaweed cut into 40-50mm pieces. 3. Konbu cold-water dashi stock will be produced in around 2 hours in summer, or 3-6 hours in winter. It can be stored in the fridge for about 2-3 days. 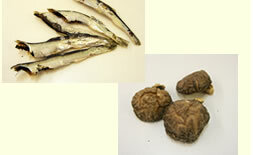 You can also produce dashi stock with small, dried sardines or dried shiitake mushrooms. 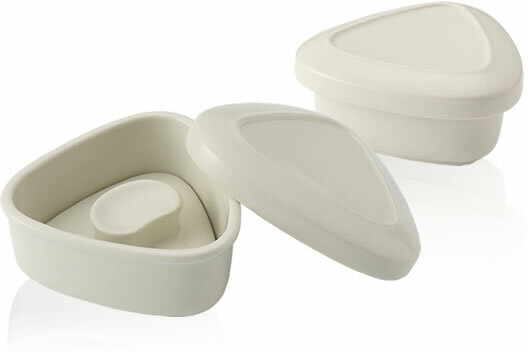 A ceramic container for easily making rice balls and lightly pickled vegetables. You can even use it as a side plate! The surface and underside can both be used in a variety of roles. Pour a small amount of weak salt water into the triangular unit, then gently add cooked rice. 2. Lightly press the corners with the presser. 3. 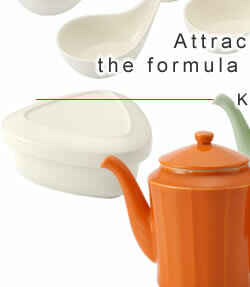 Flip the lid over and turn over the triangular unit to extract the rice ball. 4. Compress lightly, and it's ready. 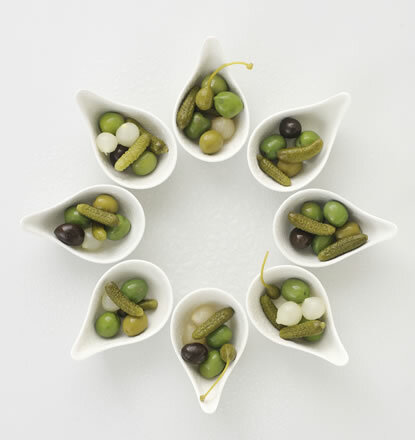 Place vegetables cut into bite-sized pieces into the unit, and lightly sprinkle with salt. 2. Cover with the presser and press. 3. Press the presser to extract excess water. 4. Leave for 20 minutes, and then your lightly pickled vegetables are ready. Using too much soy sauce leads to excessive salt intake, and it destroys the flavor of the ingredients. 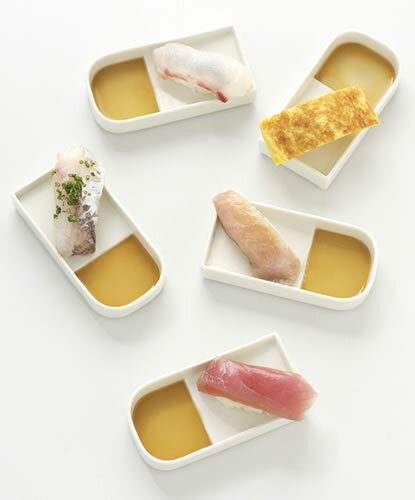 These are new sushi dishes that add a slope to the conventional soy sauce dish design, so the soy sauce is controlled and there's also a usable space it doesn't even touch! These sushi dishes take the shape of the inkstones used in calligraphy. Hold the round end and raise it to your mouth when you eat to avoid dripping soy sauce. You can also use it with other foods such as steamed vegetables, and for other condiments such as salt, vinegar and olive oil. 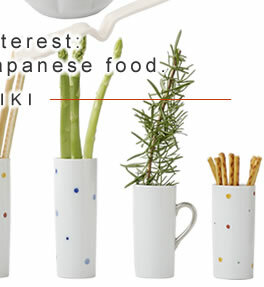 Because they're ceramic, you can fill them with ingredients, and place them into a steamer as-is! And because they're deep, you can also use them as scoops for a nabe hotpot. Containers that can also measure were originally created for checking the taste of dashi stock produced by the Dashi Pot (sold separately). With measurement lines at 10ml intervals, you can measure up to 50ml and their size makes them just right for holding hors d'oeuvres. 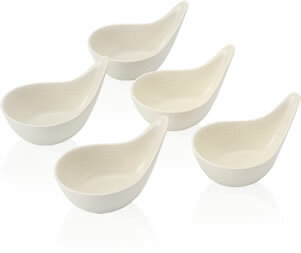 The white color suits any recipe, and will brighten up your table. 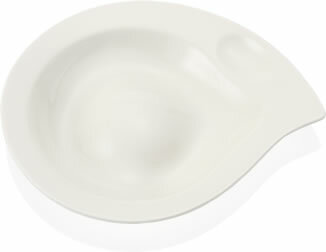 The first dedicated olive oil dish in the world! Created based on the concept of the "Taste Vin" for tasting French wine. Features an uneven surface to remove the olive oil and you can place seasonings such as salt in the small hollow on the right. Use olive oil in place of butter on warm bread.